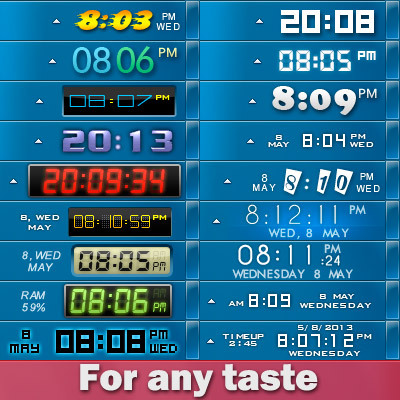 Your Windows system tray clock does its job, right? But that’s all it does, really, and you’ve spent years looking at the same, old boring interface. 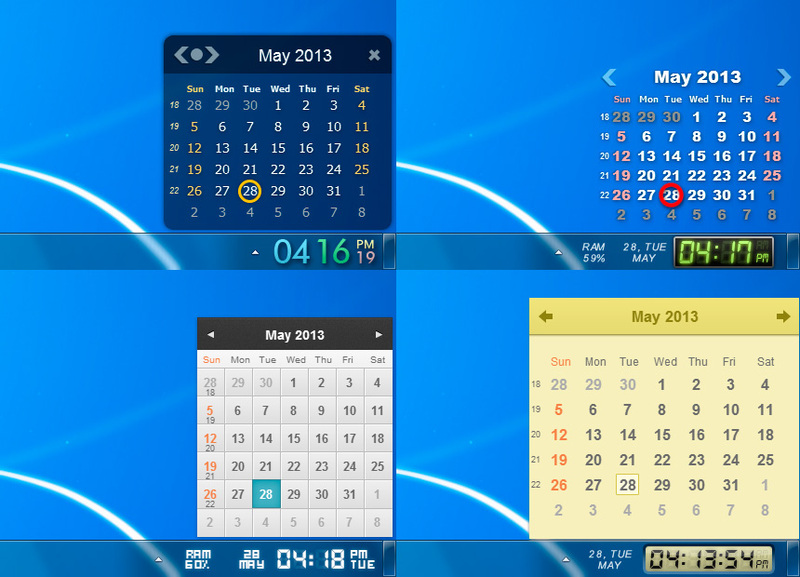 When you launch the application, your default Windows clock will be replaced. 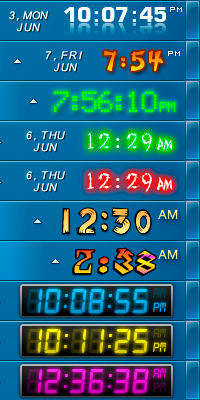 If you are not satisfied with the looks of your new clock, you can select a different skin, on its main settings panel. The utility also allows you to set up alarms and can also schedule various actions to be performed at the user defined time, such as wakeup, rebooting, shutting down or hibernating the computer. Atomic Alarm Clock enables you to set up alarms to occur once, hourly, daily, weekly, monthly or even annually, with a wide array of actions to be performed. I am the author of this program, I will be glad to hear your suggestions and recommendations. I don't think it's overpriced, but on the other hand... it's just a clock. Don't get me wrong, it does looks good, I give you credits for the customization part, but the question is, do I really need another clock? I don't really customize my desktop anymore like I used to, nowadays I don't really care how it looks like, as long as it gets the job done. However I imagine people that are really into fancy desktops would prefer stuff like Rainmeter or maybe a Dock or something, so that makes the taskbar as a whole kinda obsolete, giving the fact that most of these tools have their own clock and/or an opened programs indicator. Gimme my shovel, another thin' to bury. 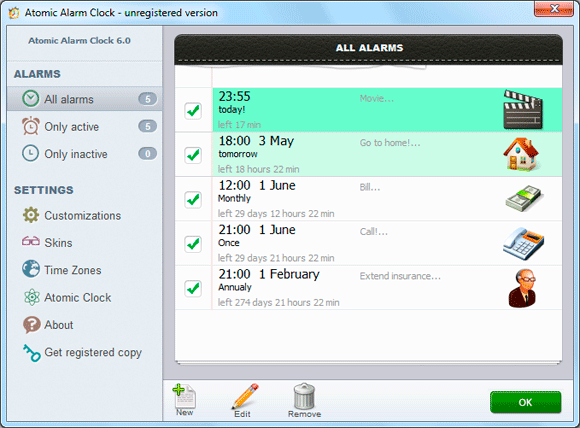 Atomic Alarm Clock 6.11 has been released today. - New settings for skins, transparent background and background color. 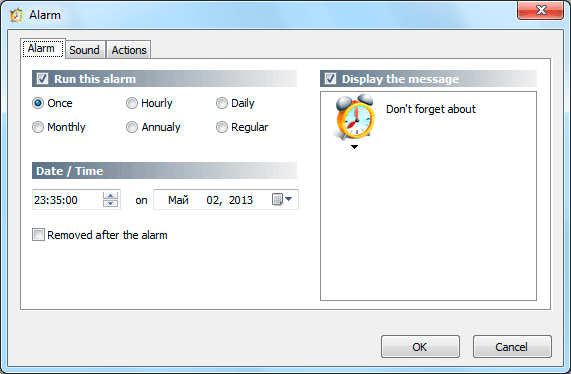 Atomic Alarm Clock 6.12 has been released today.